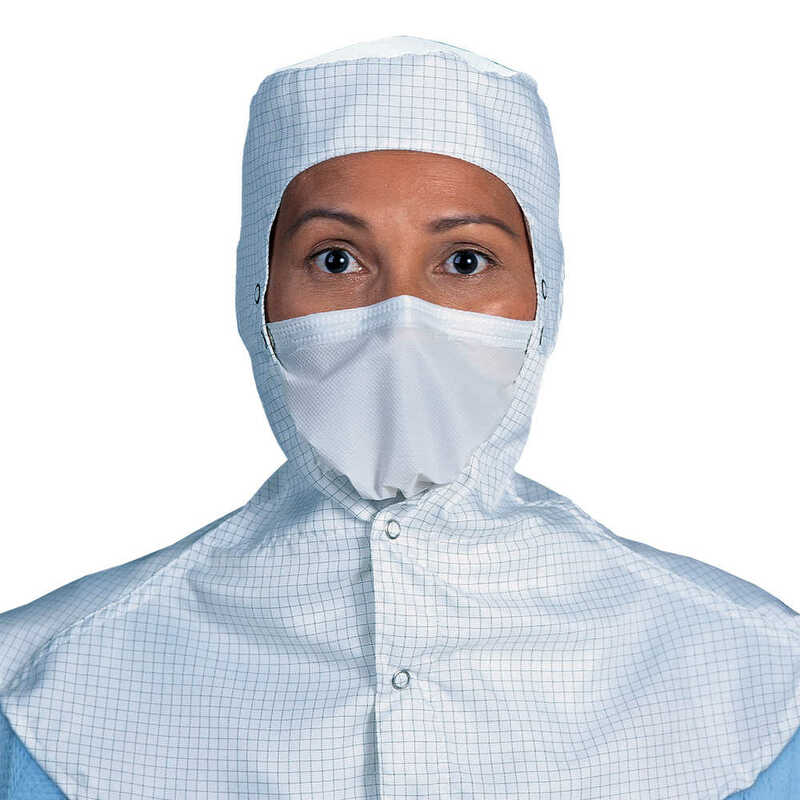 Kimtech Pure M7 Face Veils are a smart piece of personal protective equipment (PPE) for your ISO Class 7 and higher cleanroom environment. They are constructed of low-linting apertured polyethylene film and provide excellent breathability for the wearer’s comfort. These veils have dual snaps for easy adjustment and to securely attach to cleanroom hoods (also available in headband style, SKU 62757). They are double bagged and measure 13 inches wide by 15 inches long. When you require extra face coverage for environments such as those for semiconductors, disk drives, data storage and integrated circuits, the M7 Face Veils by Kimtech Pure are a good option.